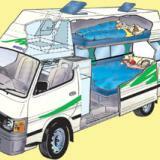 United 2 Berth Hi-top campervans feature a well appointed kitchen, foldaway table, extra large beds and a very comfortable living space. United 2 berth berth campervans feature a well appointed kitchen, foldaway table, extra large beds and a very comfortable living space. 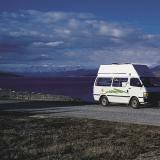 And although there's no internal access between the driver's cab and the rear living cabin, the access you get to New Zealand's sublime scenery couldn't be better. Click Here For Detailed Information including Quick Time 360 degree Views inside United these vehicles. 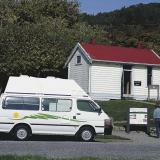 A Bond/Excess of NZ$5,000 must be paid on collection of the vehicle. The hirer will be responsible for the first $5,000 of any costs incurred due to damage to the hired vehicle or third party property. 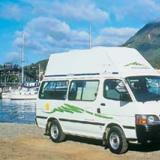 United Campervans offer two options to either reduce or waive this standard Bond/Excess of NZ$5,000.